Kenya Ports Authority men's basketball team collected maximum points in the Kenya Basketball Federation league at their backyard on Saturday and Sunday. On Saturday, KPA comfortably beat visiting Trailblazers 84-52 after a narrow 37-32 lead at halftime. In this match, Frank Omondi scored 12 points while Evans Leting and Samuel Ocholla each had 11 for KPA. Alex Onguso replied with 14 points for Trailblazers and Lenson Kisia had 10. On Sunday, KPA recorded their second win against Lions. They led 38-20 at half time and won 65-48. Victor Ochieng was the top scorer for KPA with 11 points while Brian Kuria had 14 for Lions. In Eldoret, George Opiyo scored 24 points and Renson Getanga 19 to steer Eldonets to a 70-49 win against Zetech. Eldonets led 32-21 at halftime. Eddy Bahati top-scored for Zetech on 11 points. There were two matches in Nairobi at Upper Hill School on Sunday. In the first match, Zetech narrowly led the UoN Terror 18-17 at half time before winning 44-43. 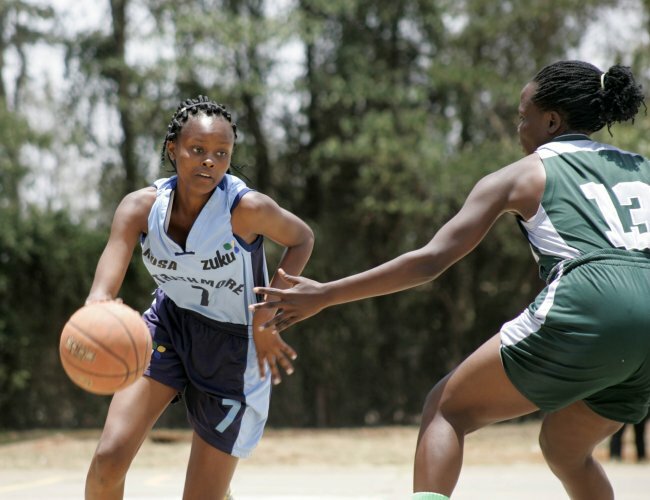 In the women's league, Strathmore University beat Kenyatta University Oryx 60-42 after leading 39-22 at halftime. Jacklyne Tinega scored 16 points and Edna Kola 11 for Strathmore University. Beryl Mkungo replied with 17 for Kenyatta University Oryx. On Saturday, United States International University - Africa Flames beat Western Delight 62-43 in Kakamega. Saturday: Western Delight 43 USIU-A Flames 62, KPA 84 Trailblazers 52, Eldonets 70 Zetech 49. Sunday: KPA 65 Lions 48, Zetech 44 Terror 43, Strathmore University 60 Kenyatta University Oryx 42.